This past weekend, the Atlanta debate team competed at the Lindale Debate tournament with over 20 teams present. 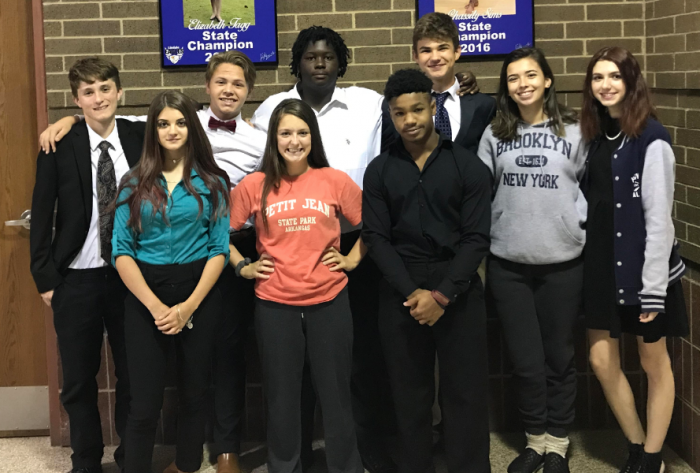 Will Porterfield and Alex Jones along with Harley Lenaway and Jasmine Rigdon made up our Policy teams while Savannah Kitner, Davion Collins, Dante Cook, and Tyler Green competed in Lincoln Douglas Debate. We also had William Porterfield, Kiia Anderson, Katherine Rich, and Rose King compete in Extemporaneous Speaking. Unfortunately, our Extempers did not make it past the first round, but they learned how to overcome adversity and kept their heads high. All the Lincoln Douglas debaters, except Savannah, competed in their first debate this weekend and all won at least one round which is a great accomplishment. Savannah came in 10th overall in the tournament and was only one speaker point away from making semi finals. Harley and Jasmine are working out their stride as being partners and won in their third round and have figured out how to work together. Will and Alex brought home 5th place medals for Atlanta. We are working towards going to State and they need all the encouragement from us to keep motivated, so please congratulate them as you see them.